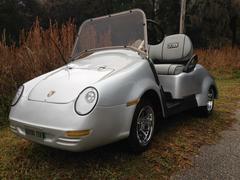 Why buy a run of the mill Golf Cart when you can own a peice of History. 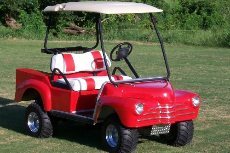 Building and designing your own Golf Cart allows you to make your mark on your Cart. First pick the kit you want, click on the picture and simply pick the golf cart you would like to build on and the equipment you need or want. You will have a custom quote just for you. Used frames are striped, undercoated and reconditioned. Solinoids and Forward and Reverse switches are replaced with new. Reconditioned frames carry a One Year Warranty..